Love or hate MacBooks, I’m sure most can agree that – cosmetically at least – they do make a statement. Apple has always strived to keep its notebook range as thin, light, and fresh as possible, and that unmistakable glowing Apple situated behind the screen finishes off the MacBook range nicely. The MacBook is not alone in being a style icon, though. Most of the devices on the Cupertino company’s roster are designed to entice and woo customers which seemingly works well along with Apple’s regular dose of superlatives and marketing ploys. The iPhone has been a revelation, and although its design has never drawn too many complaints, it would be the icing on the top of the cherry on the cake if it included that little glowing Apple logo on the back. At the moment, it’s pretty unlikely that recently appointed CEO Tim Cook and friends will bother with such an implementation. It would add to costing, and more importantly there are bigger things for the fruit company to be concentrating on right now, such as applying the finishing touches to iOS 5. 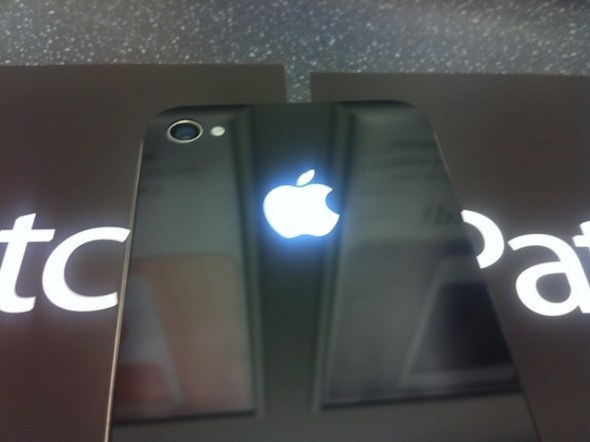 Having said that, wouldn’t it be nice if there was a way to bring that trademark glow to the back plate of the iPhone 4? Well, guess what, there’s an app a mod for that! iPatch, A UK-Based company which sells and repairs iDevices, is in the process of launching a service which will bring that MacBook touch to your iPhone. The service is not yet fully in effect, although the company has leaked some teaser shots on its website. The guys over at iDownloadBlog reckon the £100 price tag, (or $159 to American folk) is cheap, which may be the case for many, although it is a little steep for something which can only be categorized as a fashion accessory – after all, there is already a light on the back of the device if you care to use it. 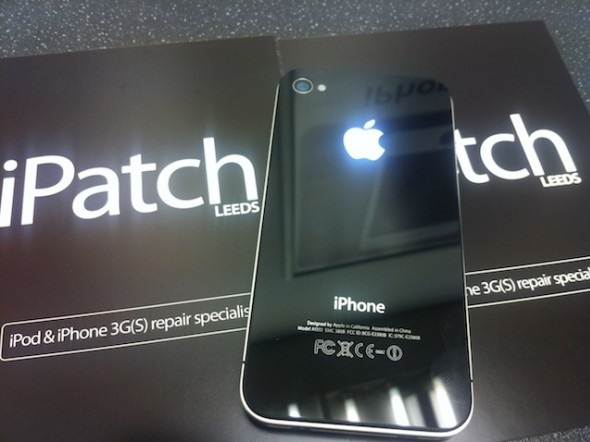 Let’s hope that there will be a similar mod for the iPhone 5, which is set to be released in a months’ time.